A nice friendly place to enjoy a day of poker! Join us and make some new friends! 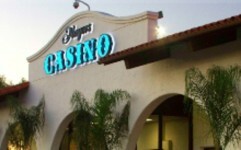 The only cardroom between Los Angeles and Lompoc.